Mohammed bin Rashid launches 'Service 1' centre combining 14 government bodies. 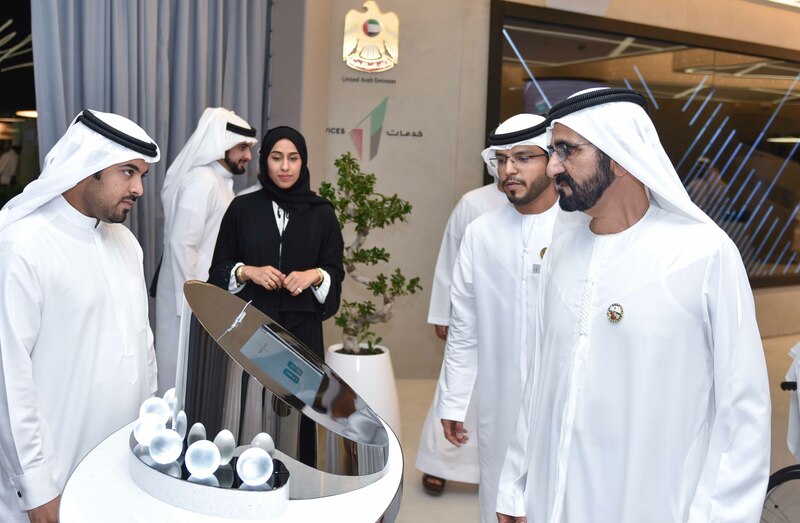 Vice President, Prime Minister and Ruler of Dubai, His Highness Sheikh Mohammed bin Rashid Al Maktoum, has launched 'Service 1' centre, at Emirates Tower, which includes 14 government agencies, IBM Watson, and smart robots, to provide personalised services to customers. 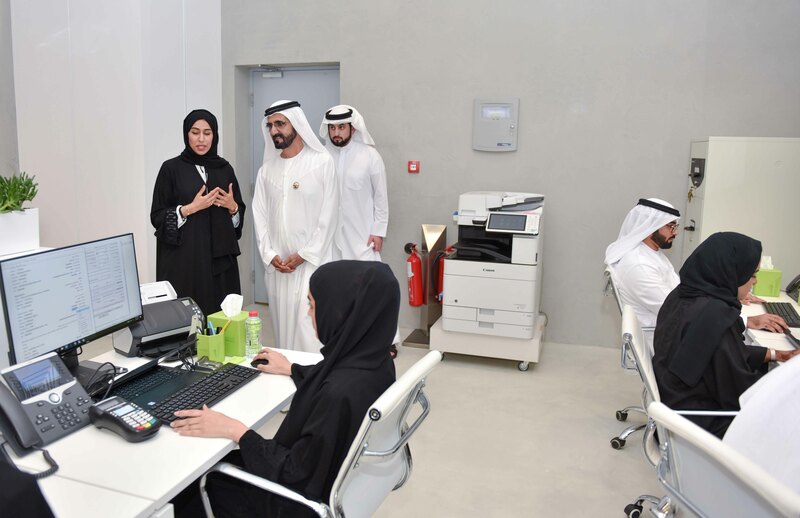 His Highness Sheikh Mohammed bin Rashid said that Service 1 centre is a model that will combine services on a single platform through one portal and with one employee representing 14 government agencies. "The centre will be a laboratory to test all the suggestions of the public and will include a platform to bring together the public with the government to discuss ideas on a daily basis. The centre will initially be followed by centres, a step that will be followed by steps, creativity will be followed by creativity, and we will not stop because our goal is to be the first in the world in government services by 2020," His Highness Sheikh Mohammed added. The Service 1 approach is based on two main objectives, the visit and the service packages. The centre enables customers to experience integrated and efficient services in just one visit and offers a number of services of the 14 federal and local government agencies in the form of packages. His Highness Sheikh Mohammed stressed the need to consolidate this model as a unique identity for the UAE government. It supports the UAE's vision as a leading country in developing government work, transferring it to new levels of efficiency, and continuing work to enhance the level of government services. "We want the client to experience a different environment in the service centres, a comfortable and flexible one, employing advanced technologies and turning them into easy-to-use tools enabling the customer to get the service through one visit," he added. 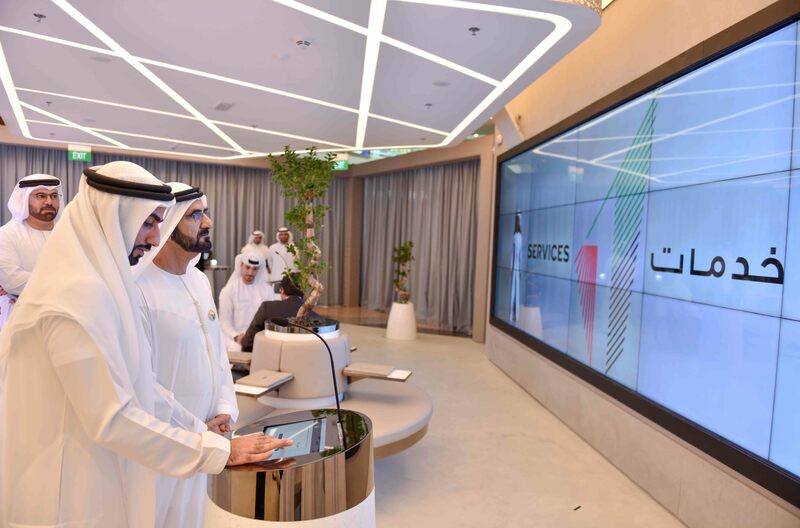 The Service 1 is a model for the future of government services in the UAE and aims to facilitate access to vital government services, reflecting the directives of His Highness Sheikh Mohammed, during the launch of the Customer Happiness Factory last January. The centre also provides a platform to engage customers immediately in the design of government services focusing on their needs and responding to their aspirations through continuous sessions held in the centre or through virtual channels using the latest technology to reduce their time and effort. Sheikh Mohammed was accompanied by H.H. Sheikh Ahmed bin Mohammed bin Rashid Al Maktoum, Chairman of the Mohammed bin Rashid Al Maktoum Knowledge Foundation, and Mohammed bin Abdullah Al Gergawi, Minister of Cabinet Affairs and The Future.